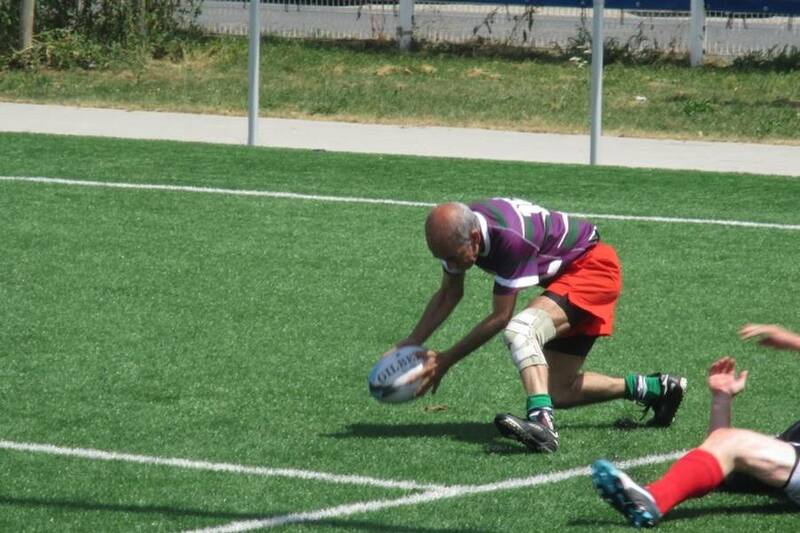 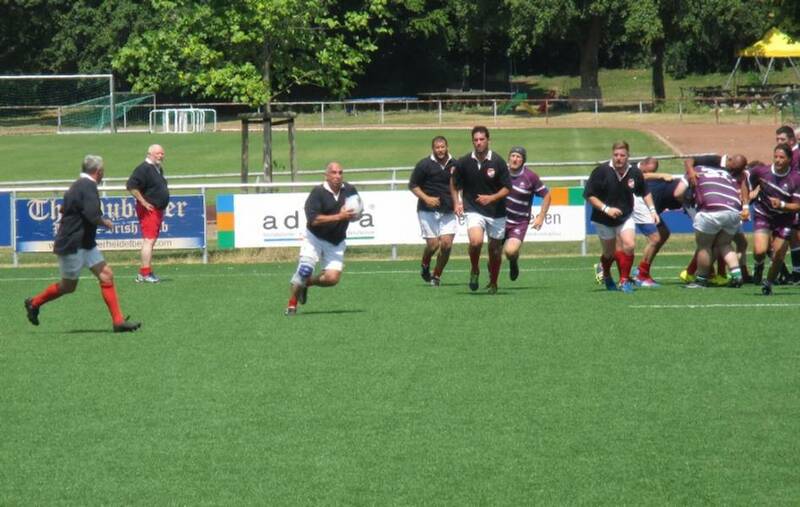 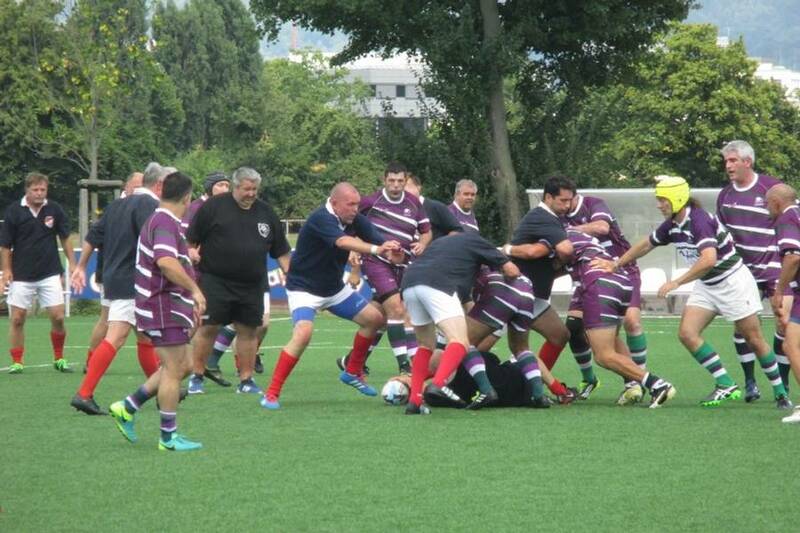 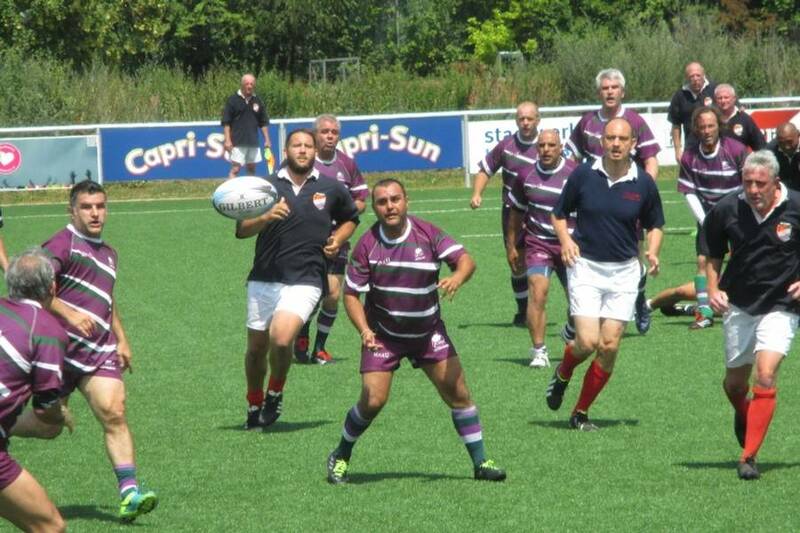 Sunny and very warm (32° C) Saturday could "dictate" how long will be played (4 x 15 minutes), but not the quality of the play of both teams... old boys played technically "perfect" Rugby, but of course in the slow motion modus. 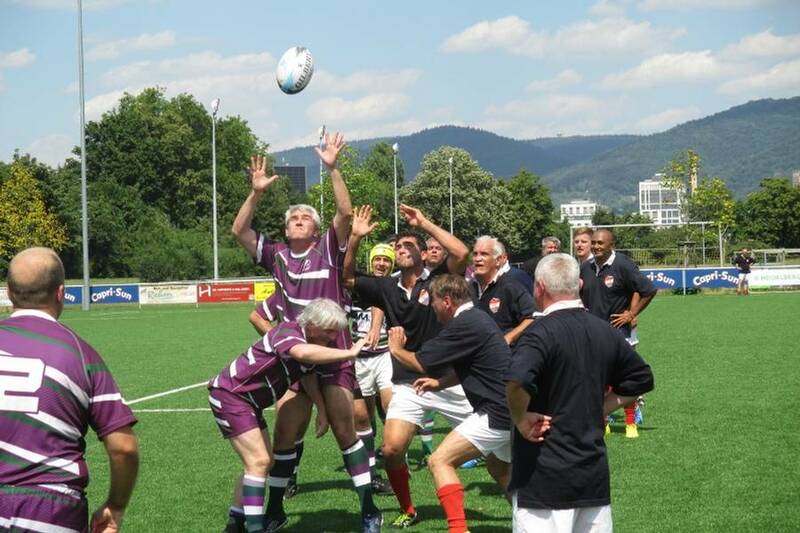 Important was that everybody enjoyed this game whistled by Heidelberger referee Hans Brauner. 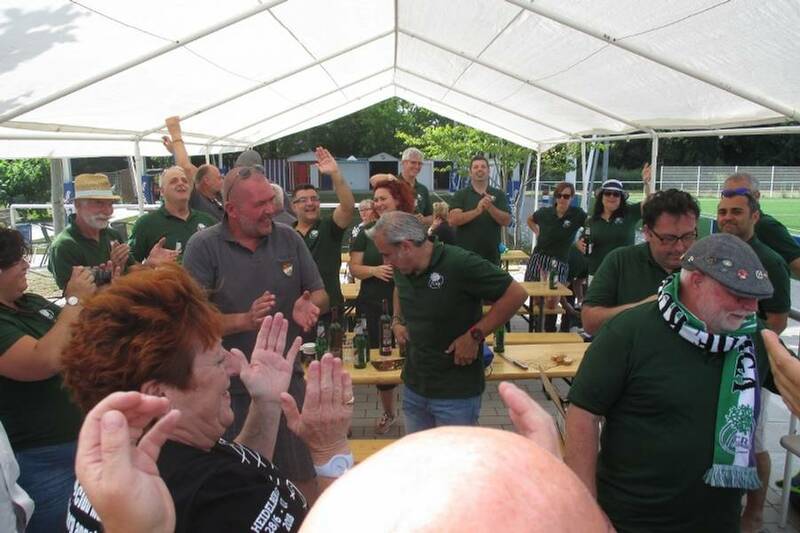 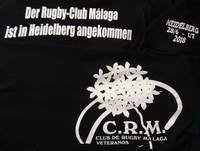 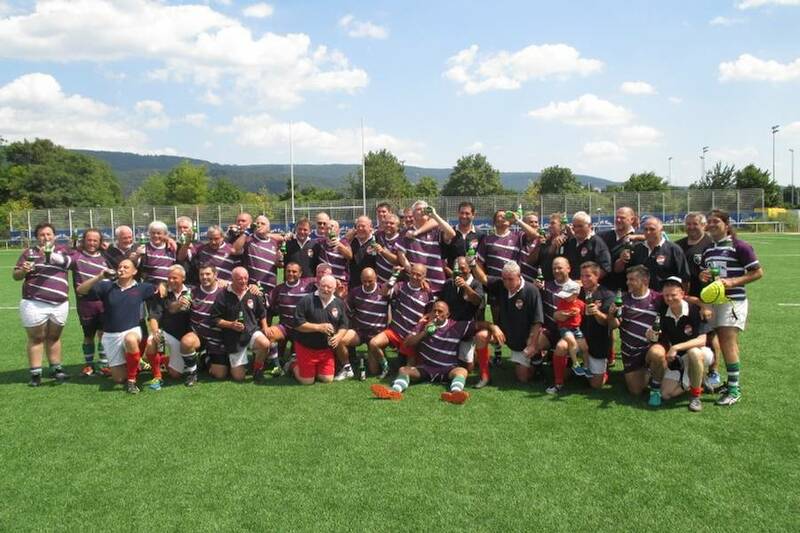 So long the "Grill Meister" Julio and his team prepared "Heidelberg specialities" both teams visited shortly the "Oldie Lounge" - special "holy place" of HRK Vets who made this special "rugby room" themselves and is rich with all kinds of Rugby trophies. 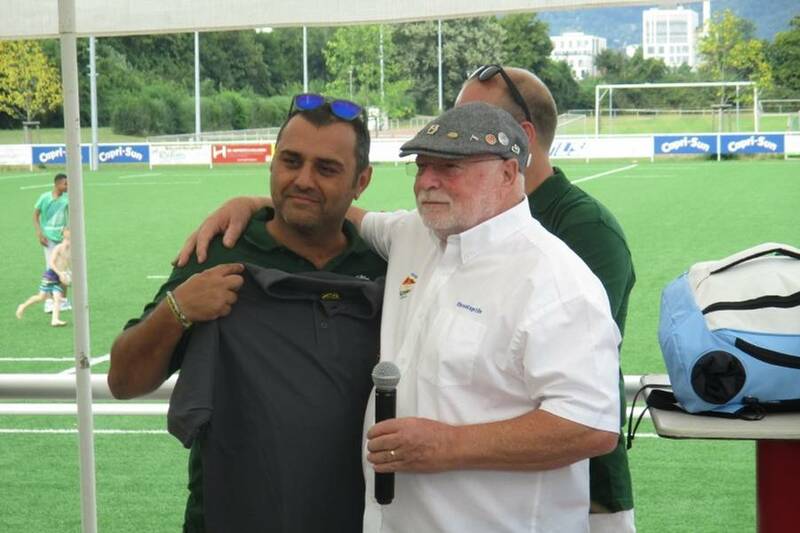 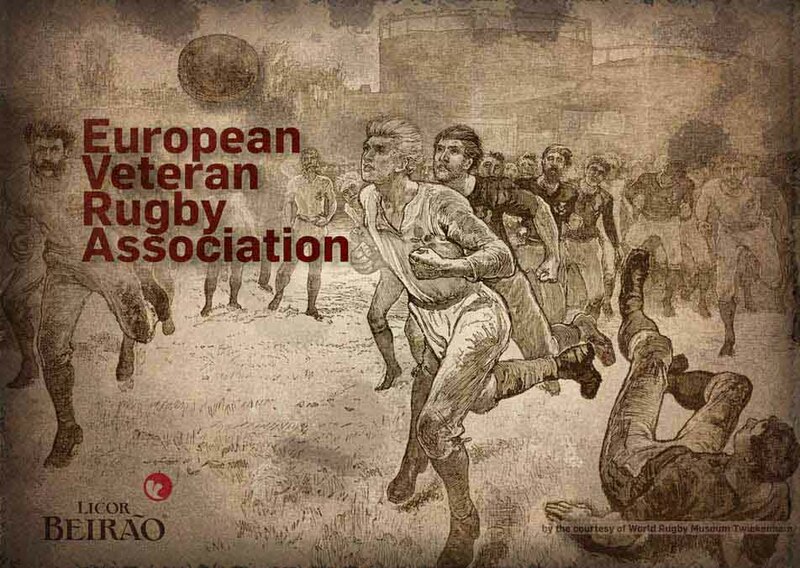 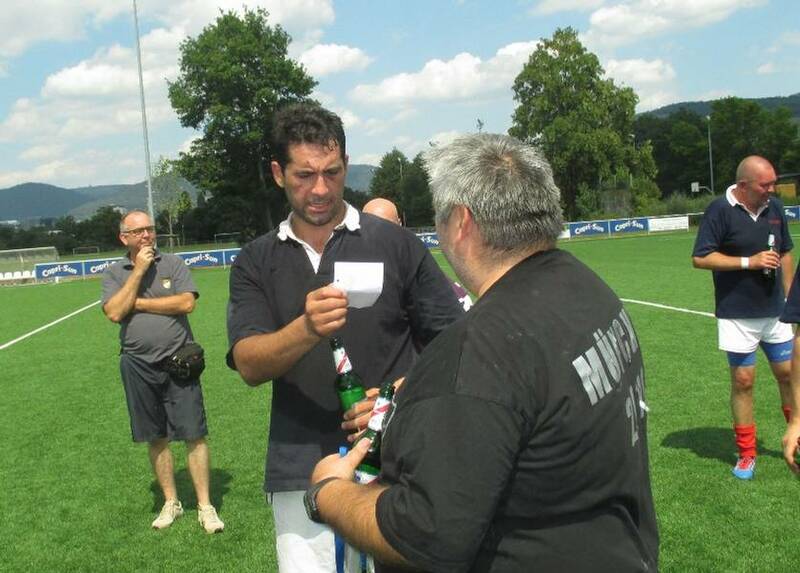 With "See you again soon..." Old Malaguenos left German Rugby capital with wonderful memories.